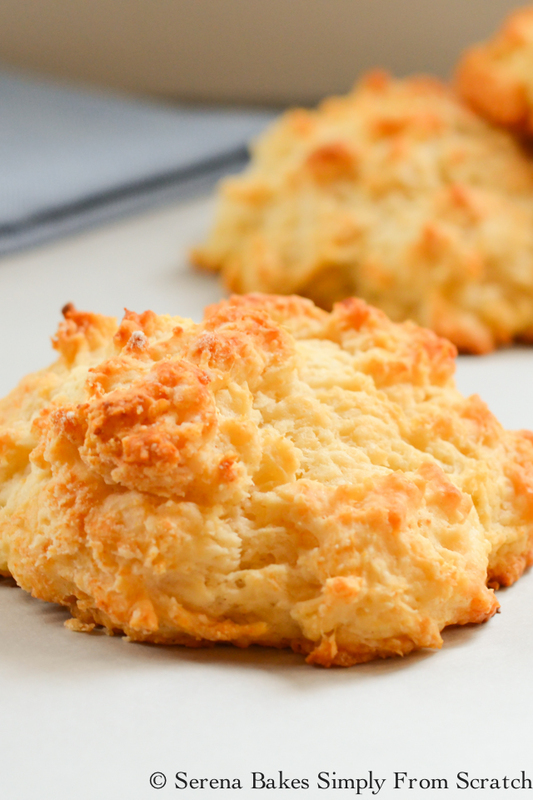 Whenever I make biscuits I almost always make Buttermilk Drop Biscuits. 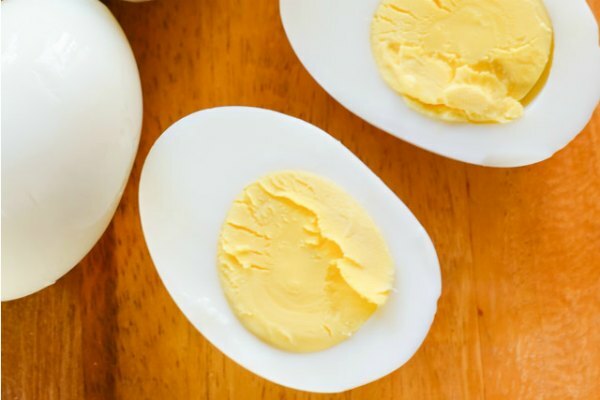 They are super easy to make and almost fool proof. 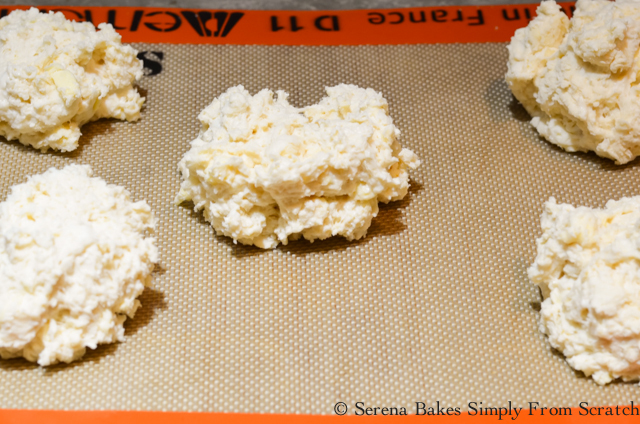 I honesty love Drop Biscuits because I don't have to worry about the mess of rolling and they are super easy to make first thing in the morning. On most days I try to avoid a mess as much as possible. Buttermilk Drop Biscuits make the perfect vessel for butter with jam or smothered in Sausage Gravy for Biscuits and Gravy. We had enjoyed them with Chicken Fried Steak for an easy breakfast, I will be posting the recipe later in the week! So good! No matter how you enjoy them the simplicity is what makes these a go to recipe in my kitchen. In a large bowl add 1 3/4 cup All-Purpose Flour, 1 tablespoon plus 2 teaspoons Baking Powder, 1 teaspoon Sugar, and 1/2 teaspoon Salt. Cut in 1/4 cup Cold Butter Cut into Pieces and 3 tablespoons Shortening, using a pastry cutter or fork, until mixture resembles small peas. 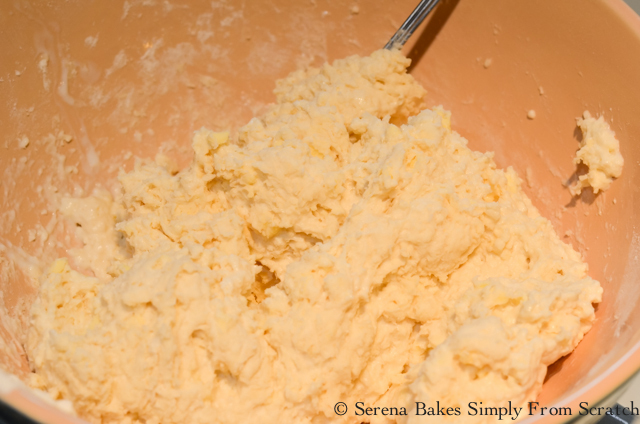 Slowly stir in 3/4 cup Buttermilk and an additional 1-2 tablespoons if needed to form a moist dough that sticks together. Divide dough into 5 equal sized Biscuits using 2 large spoons, and drop onto a parchment or silpat lined baking sheet. Baking in a 400 degree oven for 22-25 minutes until golden brown, and a toothpick inserted in the center comes out clean. 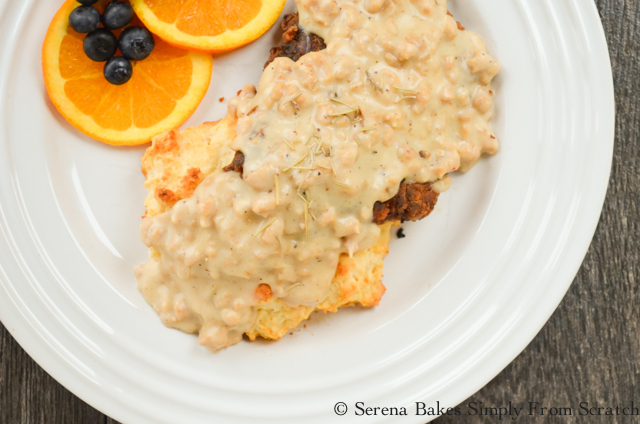 Recipe for Chicken Fried Steak with Sausage Gravy will be shared next! One of Colt's favorite ways to start the day! Who am I kidding anything fried with sausage gravy is a fav in his book! 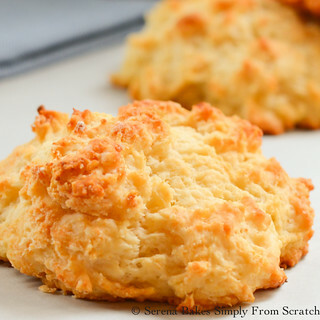 Easy to make Buttermilk Drop Biscuits are the perfect vessel for Biscuits with Gravy or smothered in butter with jam. 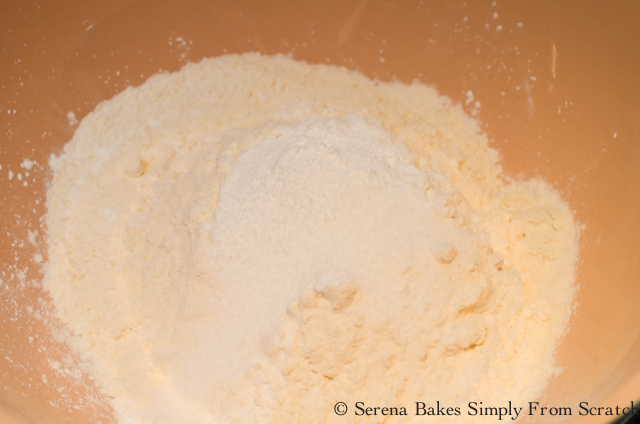 In a large bowl stir together flour, baking powder, sugar, and salt. Using a pastry cutter or fork cut in butter and shortening, until mixture resembles small peas. 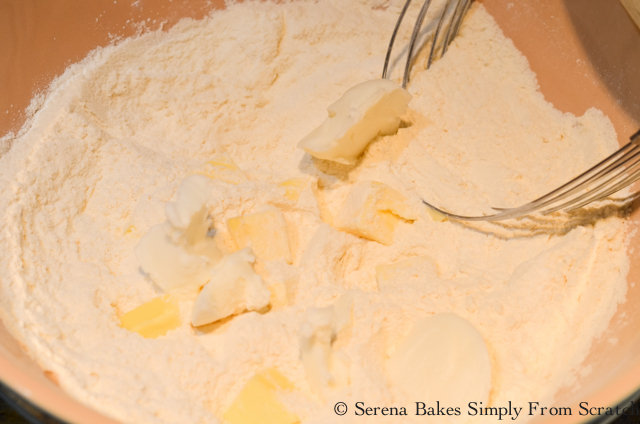 Slowly stir in 3/4 cup buttermilk, add additional buttermilk if needed to make a moist dough that sticks together. Using 2 spoons divide dough into 5 equal sized biscuits and drop onto parchment lined baking sheet. Bake for 22-25 minutes until golden brown and a toothpick inserted in the center comes out clean. Tasted like baking powder. Will cut in half next time. Is there anyway to make this without using shortening? Thanks! I made them today. 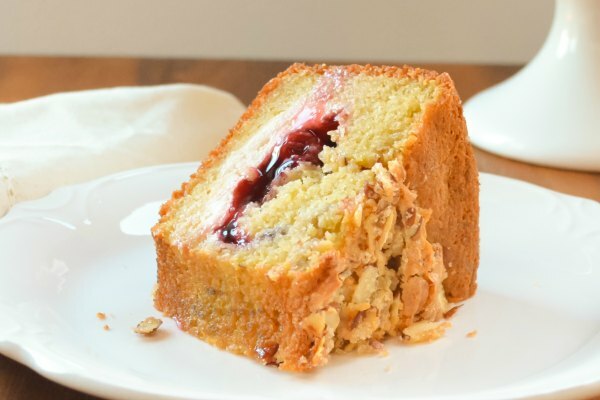 Airy and delicious! 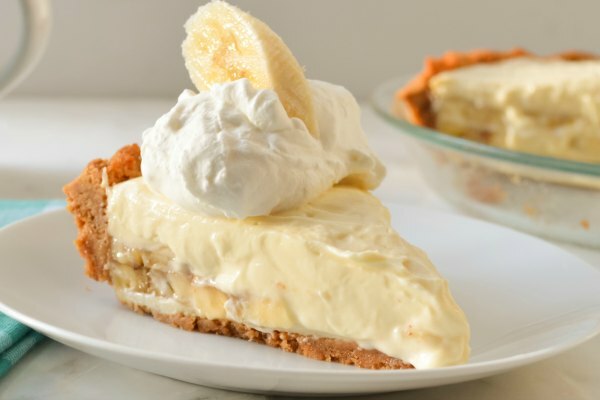 Definitely will use this recipe as my go to! Thanks for sharing it!